Photo No. 1 / 3. 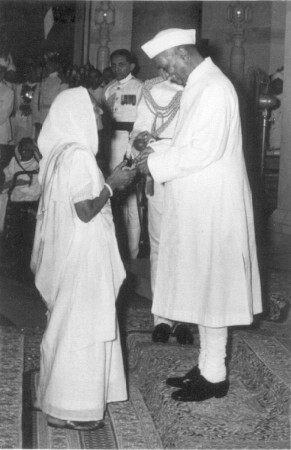 President Dr. Rajendra Prasad conferring Padma Vibhushan on Jankidevi Bajaj in the year 1956.